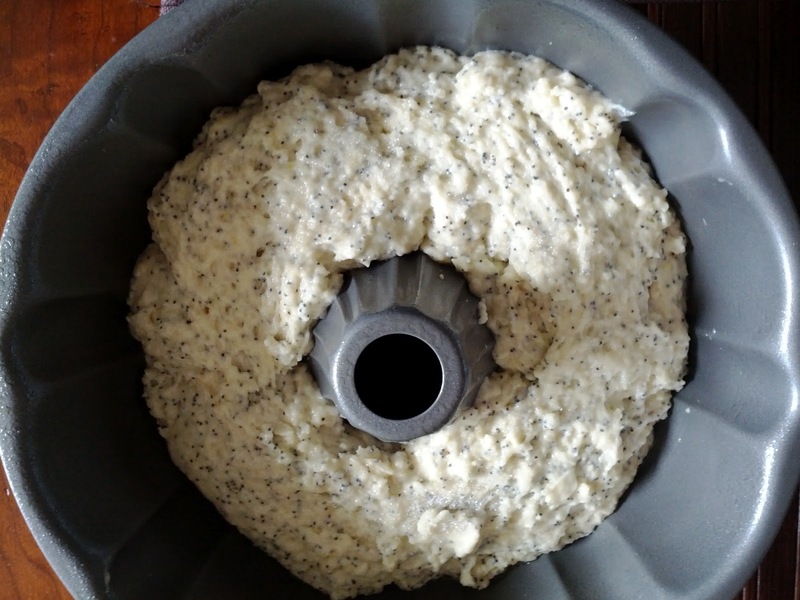 Today, I made one of my favourite baking recipes: lemon poppy seed cake! 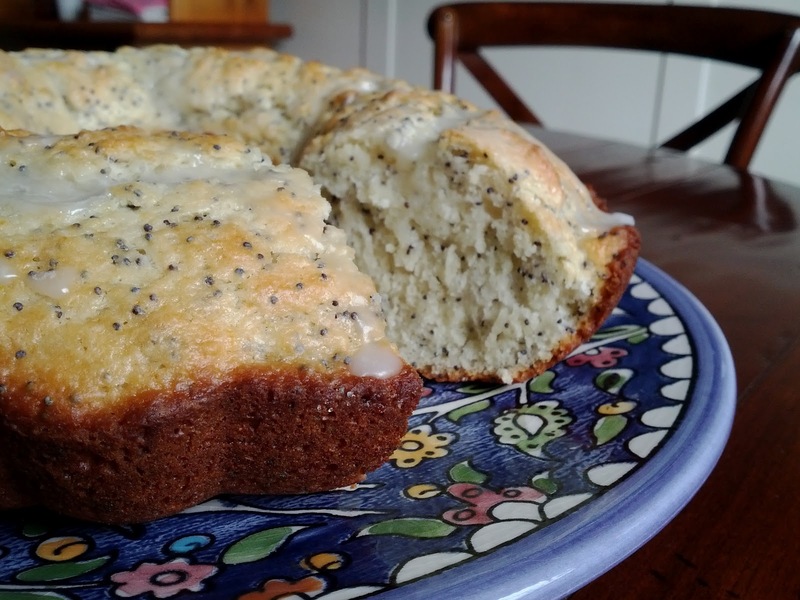 This cake is light, fluffy and moist, and I love how the poppy seeds crack under my teeth. It all begins by rubbing sugar and the lemon zest together to release the lemony oils in the rind. I love this part. The sugar will smell so lovely and lemony once you're done. Poppy seeds are so pretty aren't they? 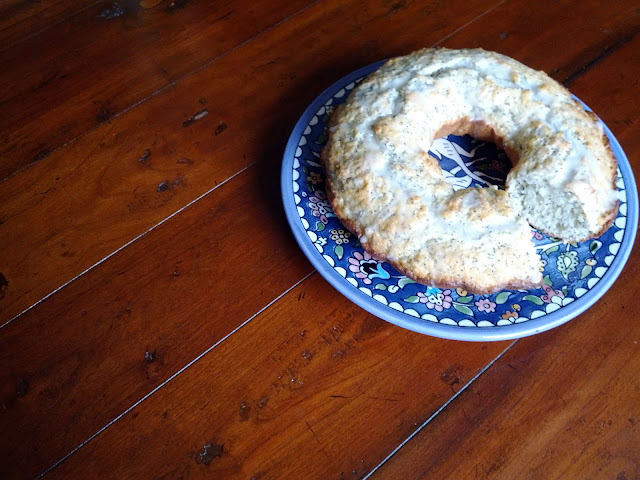 Yes, I used private label poppy seeds. There's the batter in the bundt pan. I also love bundt pans. I think they're making a come-back. Place a rack in the center of the oven and preheat oven to 400 degrees F. Butter a bundtcake pan. 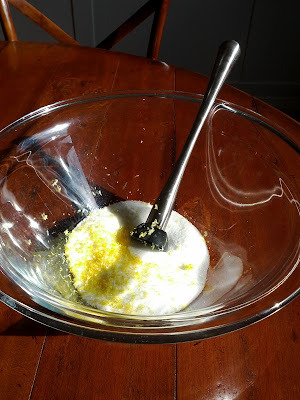 In a large bowl, rub the granulated sugar with the lemon zest until the sugar is lightly colored and scented with lemon. 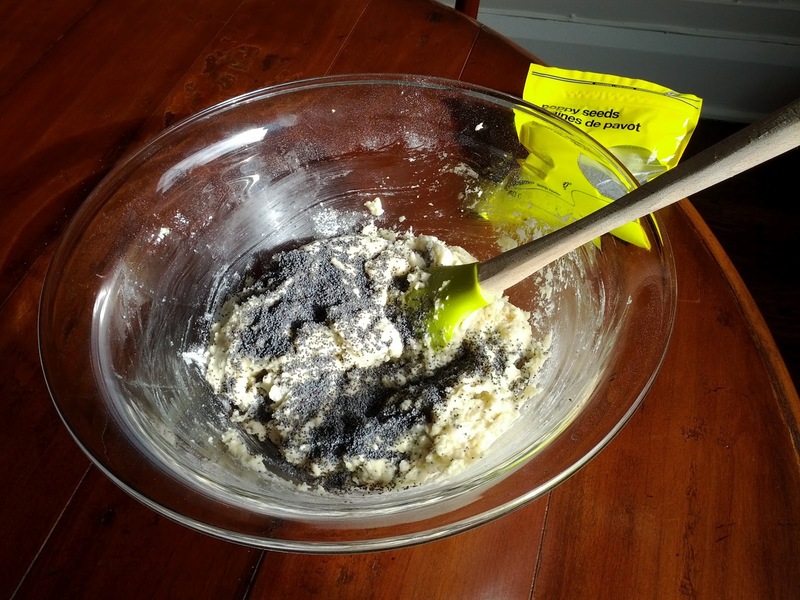 Whisk in the flour, baking powder, baking soda and salt. In a medium sized bowl whisk together the eggs, buttermilk (or sour cream) vanilla extract, melted butter and lemon juice. Add the wet ingredients to the dry ingredients and fold together. The batter will be quite thick. 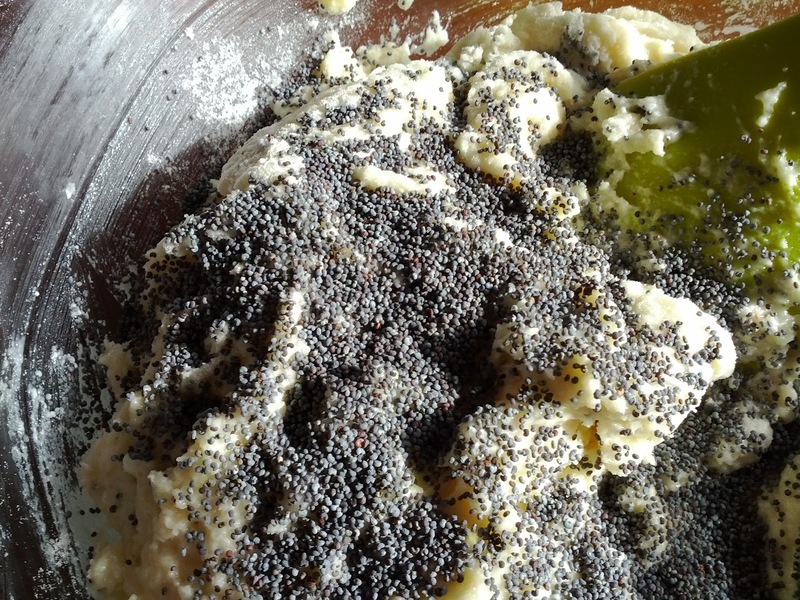 When almost thoroughly mixed, add the poppy seeds. Pour the batter (I had to scoop and place it) into the bundt pan. Sprinkle each would be muffing with granulated sugar. Bake for 20-25 minutes or until the top is golden and a skewer inserted in the center of the cake comes out clean. Let cool in the pan for 5 minutes then transfer to a wire rack to cool completely before glazing.